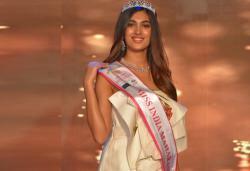 Depilatory brand Veet had the finale of its acclaimed super model hunt show, Veet Miss Super Model 2014 on October 23. 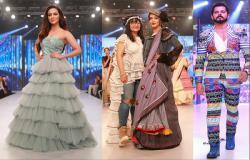 The star-studded finale was an unprecedented event where the crowning of the Veet Miss Super Model took place. The event comprised of fashion runway shows featuring top designers, two thrilling performances by musicians and a beauty segment, which was concluded with an award ceremony. The finale of a ground breaking season was not only bigger but was also more exciting and glamorous! 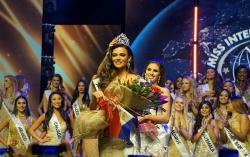 The super model hunt reality show finally concluded with the crowning of Miss Veet Supermodel 2014. 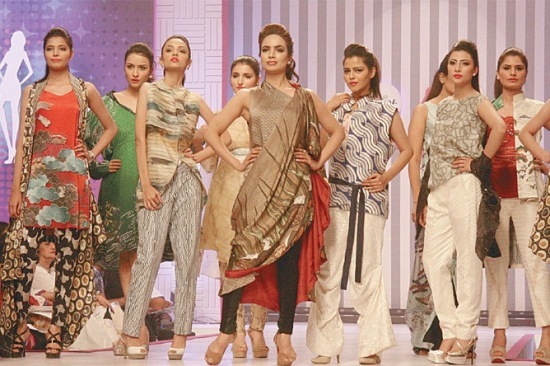 The season started with three supermodels Amna Ilyas, Cybil Chaudhry and Sabina Pasha coaching and mentoring contestants across several themed episodes focusing on grooming the models in various aspects of modelling based on beauty, confidence and personality development through various challenges. The event began with a glittering pink carpet marked by media frenzy clicking and attending celebrities and socialites. The finale hosted by the heart throb of thousands of girls Wiqar Ali Khan started off with an exhilarating opening performance by Body Beat Productions to introduce the finale judges Saba Ansari, Tapu Javeri, HSY and Vaneeza Ahmed, super model mentors and top 12 contestants. This was followed by a fashion runway show by renowned fashion designer Sania Maskatiya showcasing her range of contemporary prêt a porter. Next in line was Ansari’s beauty show presenting the latest in hair and make-up trends with models wearing ensembles by the talented Zaheer Abbas while Zoe Viccaji serenaded the audience with her beautiful voice. Awards were given out for categories such as Miss Catwalk won by Javeria, Most Promising Face won by Hameeda and Miss Photogenic won by Rubina. The second fashion presentation was by the legendary and the ever talented Umar Sayeed with his formal and bridal wear line with the models walking to the tunes of the leading rock icon Ali Azmat. 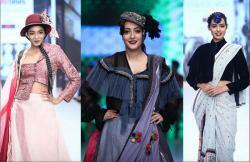 Top three contestants were revealed followed by the crowning of Miss Super Model 2014 won by Beenish Khan. For this season, Veet Miss Super Model had partnered with Saba Ansari of Sabs as the hair and make-up artist and Tehmina Khaled of Take-II as coordination and the PR partner. Muneera and Aamir from Production 021 took care of the backstage management of the event. Manhattan International Limited was the creative partner and IRIS, the digital partner for Veet Miss Super Model.